Stand a chance to win a total home spring clean! 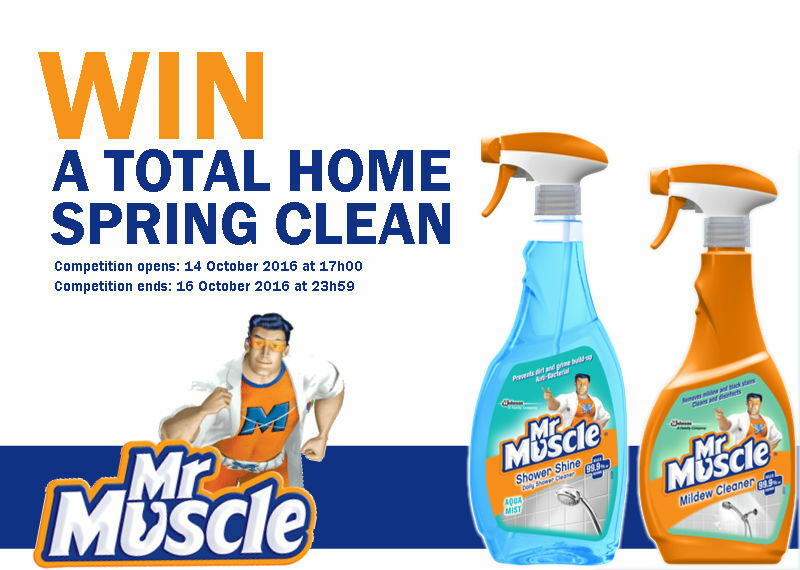 You could win a total home spring clean compliments of the Mr Muscle clean team! 2.1. Entries for the Competition will open at 17h00 on Friday, 14 October 2016 and will close at 23h59 on Sunday, 16 October 2016 (Competition Period). 6.5. The Prize may only be redeemed for a residential property within the Republic of South Africa. 6.7. The Prize must be redeemed by 30 November 2016, failing which the Prize may be forfeited at our sole discretion.